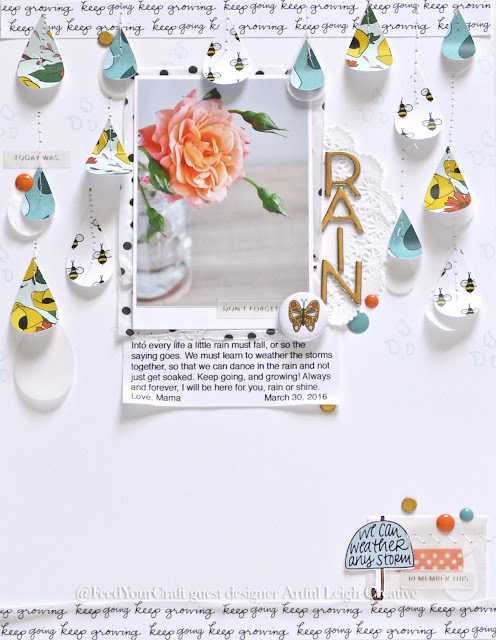 The new Feed Your Craft Kit for April is live now! and I am so excited to be invited to create with this kit! 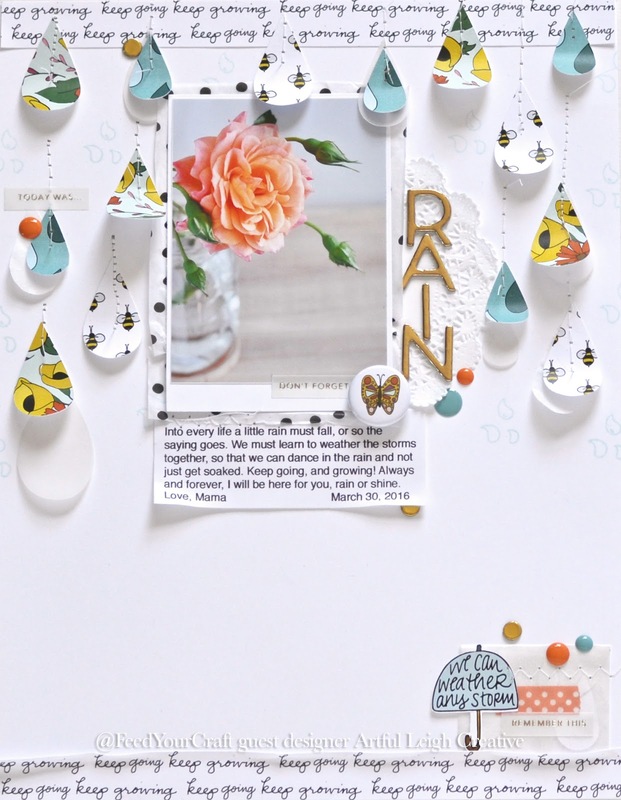 This page called Rain, uses the photopolymer stamps, mini flair, and papers included in the kit. There are also digital and printable downloads in this kit as well! LOVED working with this kit!! It is designed by the talented Brandi Kincaid! OH, and those stamps are the highest quality, and man do they stamp like a dream!!! Here's a process video I realized I never uploaded, so you get a two-for-one today! Thank you for popping by today! Seriously, you are amazing Leigh. LOVE this so much.